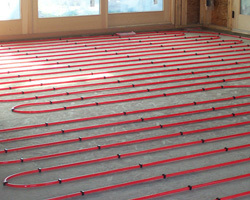 Hydronic heating is the most efficient and pleasant form of central heating. It operates by re-circulating hot water, heated by a natural gas or LPG fired boiler. Our team are experienced hydronic heating technicians. For the servicing or repair of your hydronic heating system, call us on 1300 367 626 or email us.